There is no doubt that taking a senior citizen health insurance plan for aged parents is the most crucial. But did you know that besides helping save on the cost of hospitalization, such plans can be used to claim tax benefits? You cannot afford not buying a health insurance plan for your old parents since health is too uncertain. 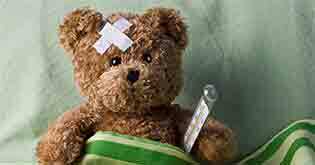 A hale and hearty person can suddenly be bed-ridden due to medical emergencies. 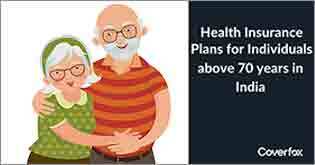 Senior citizen health insurance plans can help you save your funds from wiping off due to hospitalization as well as they can be a solid tax-saving instrument (as per Section 80D of the Income Tax Act, 1961). Let’s have a look at how a senior citizen health insurance plan can play a vital role for tax benefits. Since we already know one side of the benefit of buying a senior citizen health insurance plan i.e. insurance cover, we would now focus on the other side i.e. the tax benefits. What is Income Tax Act - Section 80D? As per the Income Tax Act - Section 80D, you can claim a tax deduction provided you are paying premium for yourself, spouse, children and parent’s health insurance policy. It doesn’t really matter if your parents are financially dependent upon you or not. You can avail a maximum tax deduction of Rs. 25,000 a year for the premium paid for yourself, spouse or children. 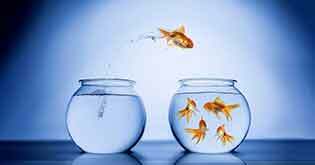 However, you can avail a maximum tax deduction of Rs. 30,000 if your parents are aged 60 or more and provided you are paying the premium on their behalf as per Section 80D. In short, you are doing right by covering your parents as well as saving tax by buying a health insurance policy for your beloved parents. Which means, if you are below 60 years and your parents are above 60 years, then you are eligible for a tax exemption of total Rs. 55,000 a year on paying health insurance premiums regularly for yourself and your senior citizen parents. However, if you are above 60 years as well as your parents are also above 60 years, then the maximum tax benefit that you can avail under Section 80D would be Rs. 60,000. Asha (30 years) paid a health insurance premium of Rs. 20,000 (family floater covering her spouse and one kid). Furthermore, she paid for her parents (both parents are senior-citizens) health insurance premium of Rs. 32,000 and also paid Rs. 5,000 for her father’s health check-up. So, now after spending a total of Rs. 57,000 on health insurance and health check-up, Asha would be eligible for a total tax deduction of Rs. 55,000, as per the Income Tax Act - Section 80D. Let’s now see how we derived on this amount as per the Income Tax Act - Section 80D. Tax benefits under Section 80D – How much can you save? Mediclaim and critical illness policies meet the requirements for tax deduction under Section 80D of the Income Tax Act. Premiums for health insurance policies and Central Government Health Scheme (CGHS) succeed for deductions. Premium for personal accident policies do not qualify. Payments for premium for health insurance policy can be made only for yourself, spouse, children and parents to be qualified for tax deduction. Payments made for siblings or independent children won’t be eligible for tax deduction. You cannot avail the tax benefit if you make the premium payment through cash. The qualifier modes of payments can be any banking channels like cheque, credit or debit card, demand draft and net banking. 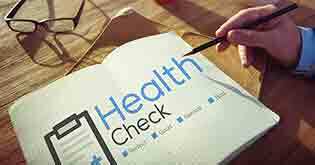 However, the payments done for premiums of the preventive health check-up can be made in cash. You only require the policy copy along with the premium receipt to file the tax returns for the senior citizen health insurance policy. It is utmost important that the payment for the premium should have been made from your bank account and not in cash. 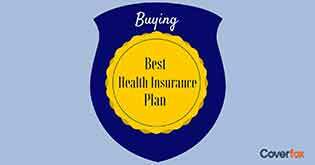 How to find the right health insurance cover for your parents? It is important that you keep inflation in the medical expenses in mind while finding the right health insurance cover for your parents. However, there are many other deciding factors too. 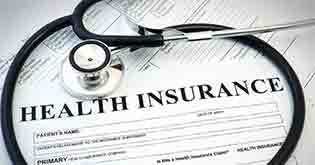 The health insurance cover that you buy for your parents should cover a large number of illnesses. Ensure that the pre-existing diseases are covered too. While these illnesses your parents might have suffered in the past, it is important to know if those would be covered post completion of the waiting period. Also, ensure that the health insurance cover offers coverage for critical illnesses as well as lifestyle diseases such as cancer, diabetes etc. We all know that a health insurance plan for senior citizen is expensive. This is because insurance companies consider senior citizens as a higher risk category. Here, chances of making a claim are greater. It would be wise enough to opt for a policy that offers higher coverage at a lower premium. Renewal age is nothing but the actual age till which you can renew the health insurance cover for your parents. This factor may differ from one health insurer to another. Sum assured is nothing but the total amount that you can claim in a policy period. Your insurer will compensate or reimburse you with this amount for a medical treatment. Therefore, ensure that the sum assured is high enough to attend your parent’s medical requirements. Every insurer has a tie-up with certain hospitals wherein you can avail cashless claim facility. Ensure that the insurer that you choose for your parents offers a broader network of empaneled hospitals. Network hospitals can be of great help during emergency hospitalization. 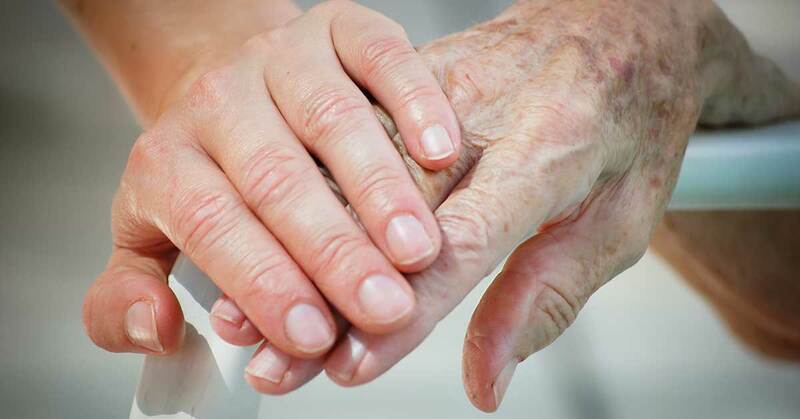 Knowing the benefits of the senior citizen health insurance plan as an instrument for saving tax, I would recommend you guys to give a thumps-up and opt for a senior citizen health insurance plan for your mom-dad.